Posted July 12, 2018 by Sheri Bell and filed under the categories Apologetics, Stuff for Teens, Talk for Today. Did the Israelites Flee Egypt for the Promised Land? In our last blog post we looked at whether there is definitive proof that Adam and Eve existed as real people. In this blog post we’ll look at what proof exists for the mass Exodus of the Israelites from Egypt. No doubt about it, the Exodus of the Israelites, an event the Bible describes in great detail, is one of the most important historical events for both the Jewish and Christian faiths. Why? Because this central experience of rescue for the helpless out of a desperate condition has been recognized as a key example of God’s love. The Bible tells us that Pharaoh — considered a god — was just a man that God specifically placed on the throne for the big showdown with Moses. God, alone, can claim the title. Before He orchestrated the Israelite’s exit from Egypt, God brought 10 plagues that crushed the legitimacy of the numerous deities of the Egyptian people. Let’s look at the Exodus details, and then at existing evidence for the event. Its symbolism alone makes the Exodus story invaluable. An interesting GotQuestions.org article sheds light on why God may have cherry-picked each plague. Examples: The second plague, of frogs from the Nile, was a judgment against Heqet, the frog-headed goddess of birth. Egyptians viewed frogs as sacred, and not to be killed. Yet God used the frogs to make a stench in the nostrils of the Egyptians, as they piled the dead, rotting frogs into heaps across the land (Exodus 8:13–14). The ninth plague, of thick darkness, was aimed at blasting the sun god, Ra, symbolized by Pharaoh himself. For three days, the land of Egypt was “smothered with an unearthly darkness, but the homes of the Israelites had light.” The tenth plague, the death of all firstborn males, was a smackdown on Isis, the supposed protector of children. The obvious symbolism: in the Old Testament we see God use Moses to lead the Israelites out of physical slavery. In the New Testament, we see God use His son to free the entire human race from spiritual slavery. Jews and Christians have, for centuries, embraced the Exodus story. Because the Bible has proven itself trustworthy as a book of truth and fact. 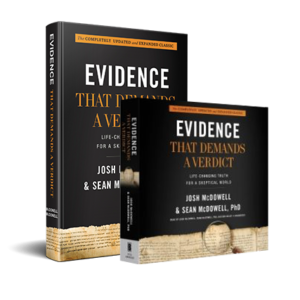 Our key takeaway: limited evidence does not mean the event didn’t happen as the Bible tells it. How often, I wonder, does God use “the forces of nature” to make His point? But like the Egyptians, we often refuse to acknowledge the Hand of God until the pain becomes excruciatingly personal. Only then do we move. We find the Exodus mentioned as a historical event throughout the Old Testament, including the books of Psalms, Joshua, Judges, 1-2 Samuel, 1-2 Kings, and in the Prophets. We should note that the Bible is not a single source document. It is multiple sources, all of which maintain the authenticity of the Exodus tradition. Historians recognize that the likelihood of the authenticity of an event increases as independent sources that verify it are discovered. To date, scholars cannot concretely prove that Moses existed, that Israel lived in Egypt, or that this group of Hebrews fled from Pharaoh. But neither can they disprove the historicity of the biblical narrative. Simply put, there is enough evidence contained in the Bible to make the story believable. It is likely such a man as Moses existed, a people such as Israel lived in Egypt, and these people left Egypt via the route detailed in the Bible. « Did the Bible’s Adam Really Exist?